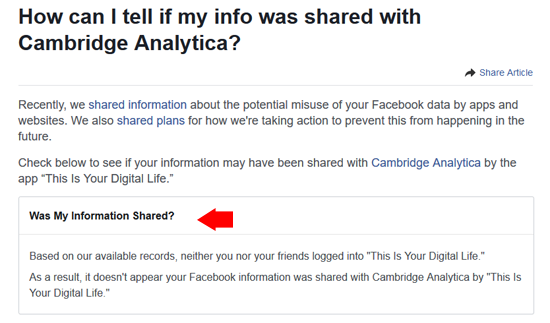 You probably heard the news about Facebook and Cambridge Analytica and you might be wondering whether you are one of the 87 millions users whose information may have illegally accessed by Cambridge Analytica, the British political research firm that worked for President Trump's campaign. From the shortcuts that appeared, click on Visit Facebook Help Center. 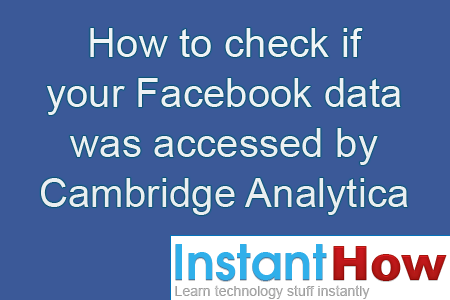 Type Cambridge at the help center and select the link How can i tell if my information was shared with Cambridge Analytica? 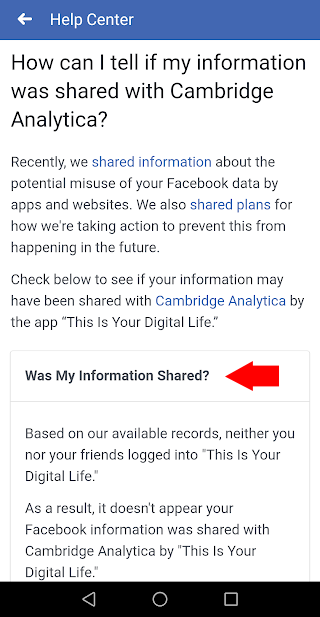 Check Was My Information Shared and it should tell whether your data has been accessed by Cambridge Analytica or not. If you are on Android or iPhone mobile, the process is almost similar to the desktop. Tap on the Facebook menu icon. 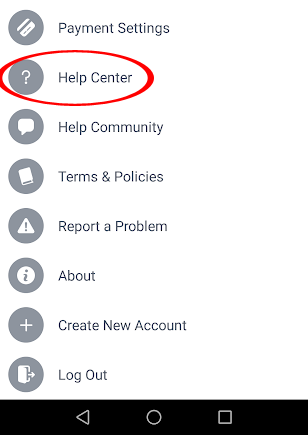 From the Facebook menu that appears, scroll down until you see Help Center. Tap on it. 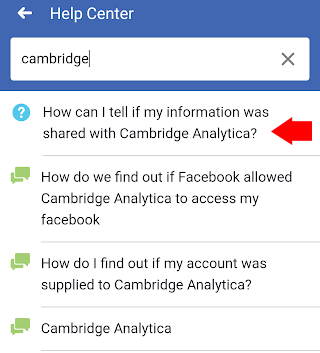 At the Help Center, type cambridge and select How can i tell if my information was shared with Cambridge Analytica? Check under Was My Information Shared and if your information wasn't accessed, you will be seeing a message saying that you are safe.